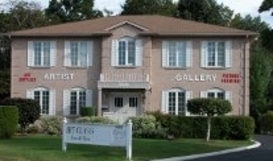 Burlington Artist Gallery provides art instruction for both adults and children. Young artists will love our sketching, painting and cartooning classes. Small class sizes (maximum of 5 pupils) ensure each child receives personal attention. Classes run throughout the academic year after school and on Saturdays. Week long, 1-hour per day sessions are available during the summer. Call (905) 333-1300 for available dates. Accomplished artist Joan Ng provides instruction in sketching with pencil, pastel and charcoal, and as well as in your choice of painting medium, oil, acrylic, or water colour. Small class sizes (maximum of 5 pupils) ensure you'll receive personal attention. Whether you're an experienced painter looking to hone your craft, or a beginner just starting out, our classes are just right for you. Classes run Monday to Thursday year round. Both daytime and evenings available. $175.50 for 5 weekly 2-hour sessions. Call (905) 333-1300 to register. We also offer private lessons for $68.00 per hour. All students receive 20% off on in-stock items on purchases over $20.